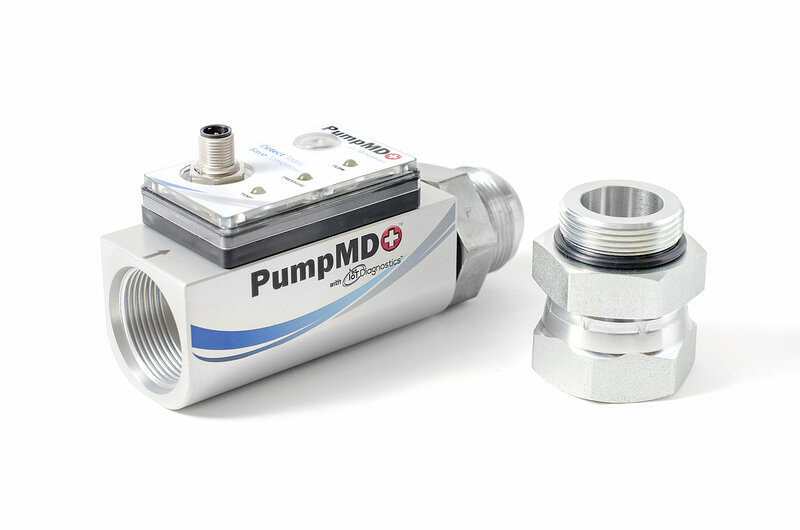 PumpMD™, created and patented by IoT Diagnostics™, a product integration company for industrial IoT devices, is the ONLY complete predictive maintenance device for hydraulic axial-piston pumps. By monitoring the temperature, pressure, and flow of oil coming out of the case drain, we can monitor the efficiency of the pump, detect a failure before it happens and alert the user to avoid the massive cost and lost production during machine downtime. Once configured using the above five parameters set by the manufacturer, our proprietary algorithm developed in part with hydraulic pump manufacturers generates the optimum pressure, temperature, and flow trip points for your PumpMD. You can now breathe easy as you will be notified when the PumpMD detects a problem preventing catastrophic system failure.